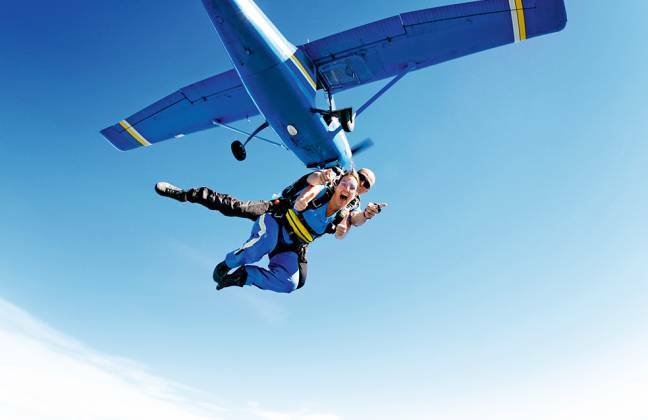 Skydiving the Great Ocean Road is THE ultimate adrenalin rush. You can Tandem skydive, with about 1 full minute of free fall, then about 7 minutes floating above the Great Ocean Road and Barwon Heads. Whilst I haven’t yet worked up the courage, friends have done it, and raved about it for weeks afterwards. Taking off from Barwon Heads airport (weather permitting), the location is about 6 kilometres from 100 Hitchcock on Barwon Heads road. I have added a link to the crew who run the skydiving at the airport for you here. Images courtesy of the Skydiving crew.